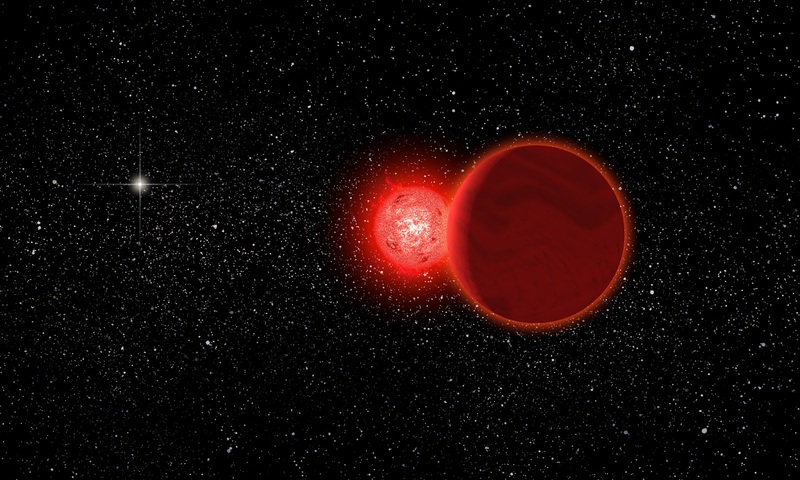 Astronomers from the Complutense University of Madrid and the University of Cambridge have verified that the early system was gravitationally disturbed 70,000 years ago by the flyby of a small reddish star named Scholz's Star. Analyzing the nearly 340 objects of our solar system with hyperbolic orbits (very open v-shaped orbits), the scientists discovered that many of the trajectories of these objects would have been influenced by the passage of Scholz's star. "Using numerical simulations we have calculated the radiants or positions in the sky from which all these hyperbolic objects seem to come," explained Carlos de la Fuente Marcos, who together with the other coauthors published the results in the MNRAS Letters journal. "In principle," he added, "one would expect those positions to be evenly distributed in the sky, particularly if these objects come from the Oort cloud; however, what we find is very different: a statistically significant accumulation of radiants. The pronounced over-density appears projected in the direction of the constellation of Gemini, which fits the close encounter with Scholz´s star." Image Credit: Michael Osadciw/University of Rochester.